Organizations applying for grants must apply by Nov. 15, but other grant-funding cycles will follow. Pacific Power has allocated up to $300,000 in this quarter of the year for grants available to communities and businesses to develop electric transportation infrastructure projects. All non-residential Pacific Power customers in Oregon are eligible to apply with preference given to community-focused organizations, such as 501(c)(3) and city, county and regional governments. • Businesses of all sizes installing chargers as an amenity for customers and employees. 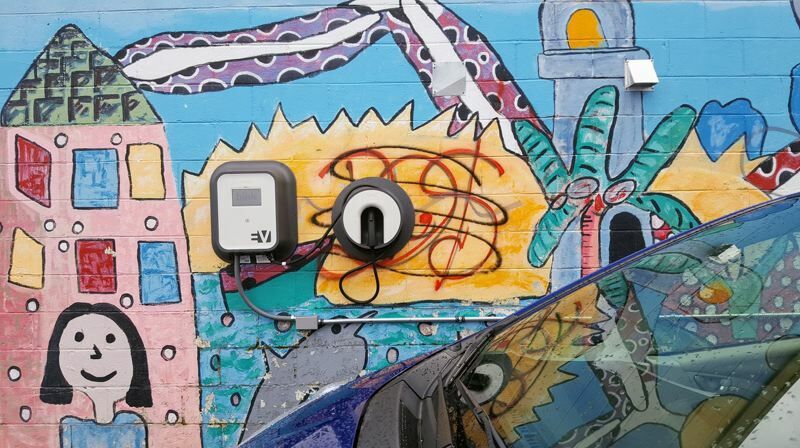 • Multi-unit housing owners installing chargers for tenants, either in support of tenant-owned electric cars or in conjunction with offering electric cars for tenant use. • Chargers for community car sharing programs to improve access and charging to electric cars in underserved communities. Grants will be awarded in quarterly cycles through calendar year 2019. The next grant cycle will open on Jan. 15, 2019. A total of $1.5 million will be awarded to customer projects through the end of 2019. "We see collaboration and partnership with community groups, employers and local governments as an important jumpstart in bringing charging technology forward," said Cory Scott, director of customer solutions at Pacific Power. To apply for this cycle, organizations must complete and submit an application, along with supporting materials, by 5 p.m. on Thursday, Nov. 15, 2018.